This small lightweight waterproof MP3 player allows you to listen to hours of music when you swim, surf, sail or ski. It can be used for all kinds of water activities. 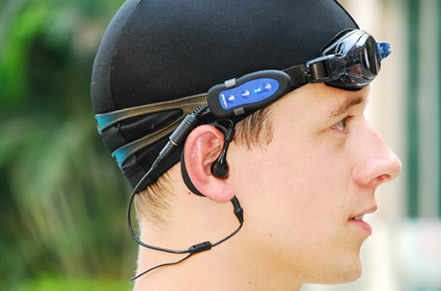 The splash gear waterproof MP3 player can be attached to the strap of your swimming goggles by a clip. 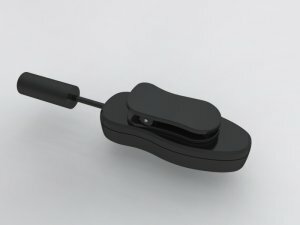 The snap clip is strong, versatile and rotates so it can be attached to most items of clothing or straps. 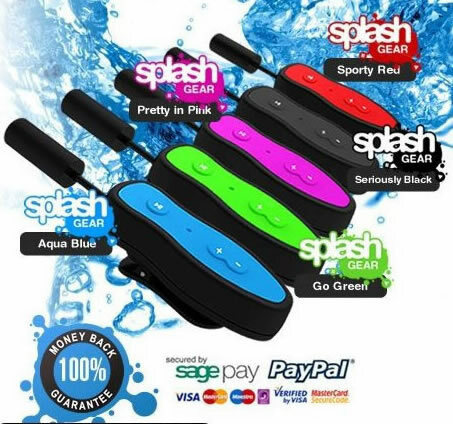 The splash gear waterproof MP3 player is simple enough for the kids to use. Available in 2 Gbyte version the player is strong, durable and completely waterproof down to 5 meters. Two sets of earphones to best suit your current activity. One pair of Waterproof Earphones and another pair of High Quality Stereo Earphones for dry activities. The Aqua Case is a Multi-Purpose Waterproof Case (up to 15M). You now can store any valuables that needs to be protected from the Water, Sand or Rain. This accessory can be worn around your neck or even as an arm band.